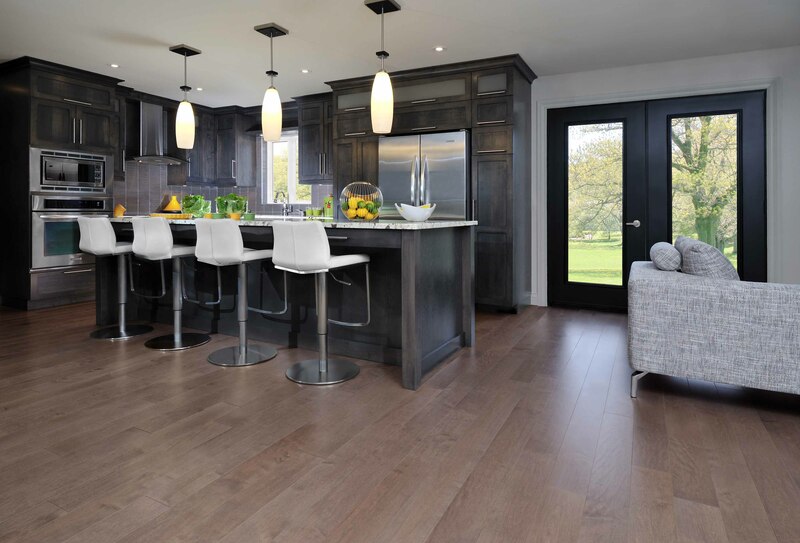 Engineered wood flooring is wood flooring that is made in such a way that it can be installed on a concrete floor. Engineered wood flooring is perfect if you want wood flooring in a basement. Due to the way it is constructed it has resistance to slightly higher or lower moisture levels. You don’t only have to use engineered wood if you have a concrete subfloor. It can be installed on any type of a subfloor and comes in almost every wood species available and in widths from 3 inches to 7 inches. Engineered wood flooring can be either adhered directly to the subfloor or floated over the subfloor depending on the manufacturer.